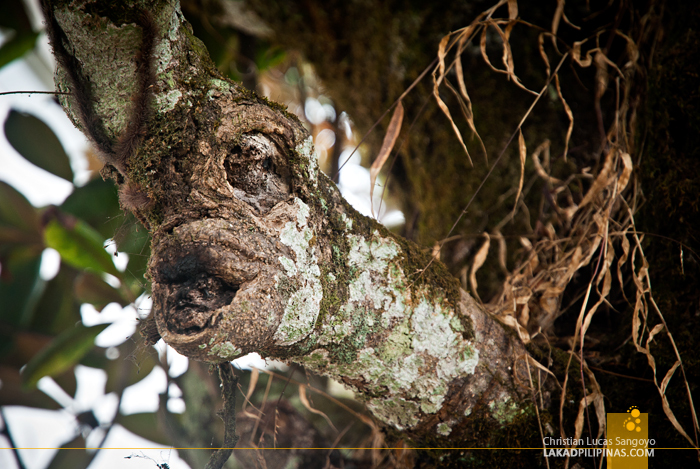 The day was bright and sunny as our taxi cozily sped along the winding roads of Baguio City. The air smelled of fresh pine and the sky was a clear cobalt blue, quite a fine day. We were headed towards PNKY for breakfast when I remembered a blog post about a supposedly haunted mansion across the restaurant. I immediately asked our taxi driver if he knew anything about it. It turns out he does and quickly launched on about the said house. He told us it was not always called the White House. 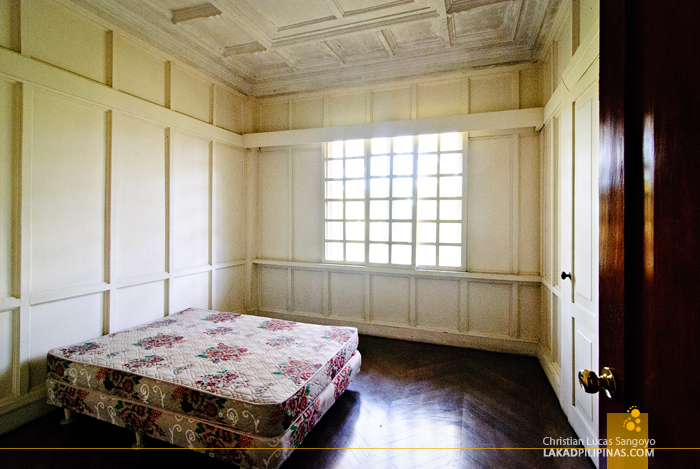 The place used to be unpainted (or more likely paint had peeled off due to age and disrepair) before it was renovated by its new owner, none other than the business tycoon Lucio Tan, as a guesthouse. But guesthouse it is not as the place seemed totally abandoned now within its locked and rusting gates. The former owner of the White House was the Laperal clan. 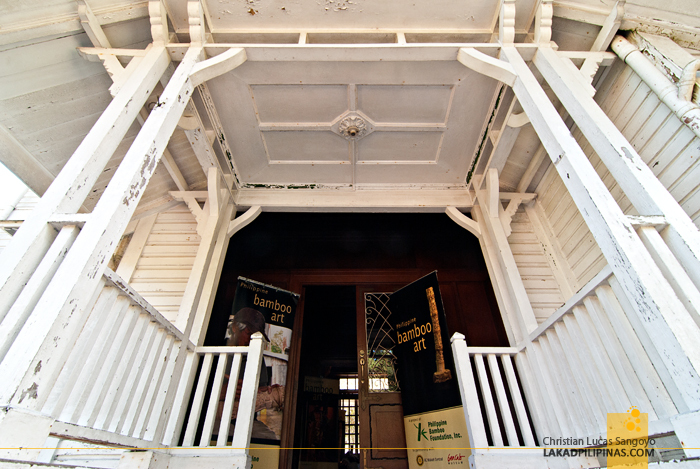 Built during the 1920’s, the house was used by the occupying Japanese forces during the Second World War as they captured Baguio in 1941. The killings of its inhabitants occurred during that period but it is unclear if the Japanese were the ones who did it or some other individuals. The last of the clan, Roberto Laperal, died after fracturing his head after a slip in the house’s yards. The mansion is said to be haunted by a girl who is usually seen sitting on the front steps of the house. A few also reported seeing this same girl peering through the upstairs windows after taking a photograph of the house. I did try to zoom in to the photos I’ve taken of the mansion but found no such apparition, the cheery weather might have deterred the spirit from looking out. 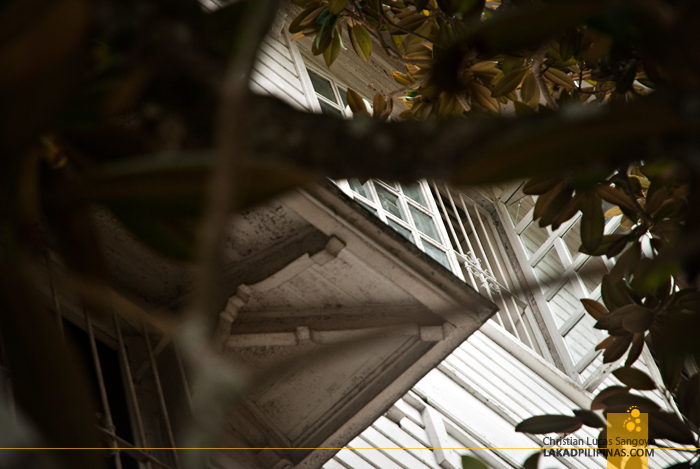 Sunny weather or not, Baguio’s White House did give me the creeps. The house appears neat and tidy, but I do feel something amiss with it. 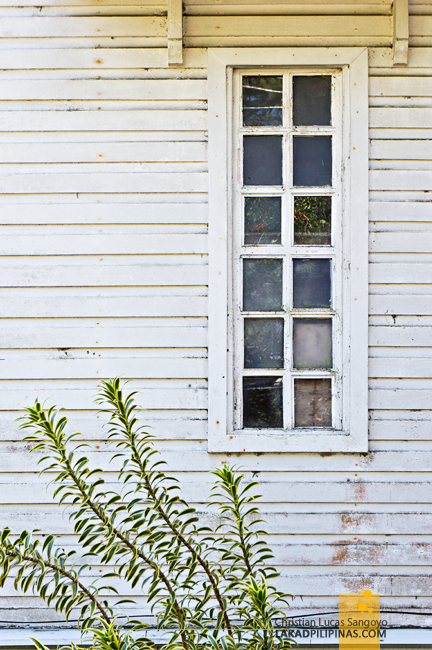 I’m not sure if it’s the abandoned atmosphere it exudes, but the house seemed to be staring back down at me as I peered through my camera’s viewfinder and pressed the shutter button. It’s obvious that the best time to photograph this haunted mansion is during twilight, I’m just not sure I can summon enough courage to face the looming façade of the Laperal White House in the dark. 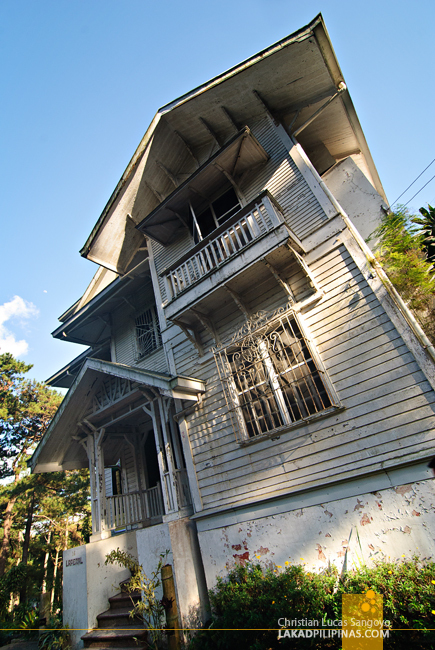 I have been revisiting Baguio City for the past years since first stepping on the sidewalk of the haunted Laperal White House, and on the last few months of 2012, I was surprised to see that the infamous house at Leonard Woods road has now been opened to the public. 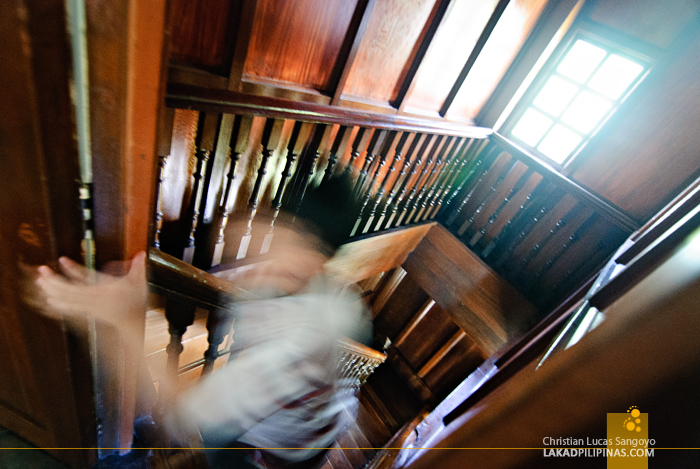 After a chilling documentary by Jay Taruc where voices with unknown sources inside the house were recorded via the many instruments they installed, the Laperal house became an instant sensation. I didn’t know if this was what pushed the owners to finally open the house to the public, but it certainly made it as a favorite stop for tourists visiting the City of Pines. On my second visit to the Laperal White House, I saw that not only are they allowing people inside, but they are also having a Bamboo Carving Exhibit, something I similarly saw at BenCab Museum in the nearby town of Tuba. There’s a fee being collected, around Php50.00, which is definitely worth my money since I’ve been wanting to see what’s inside this mysterious house since first reading about it. Indeed its interiors were as antiquated as I first imagined it to be. But that’s not to say that it’s already in a state of disrepair and ruin. In fact, I was quite surprised at how almost immaculate and polished everything were. 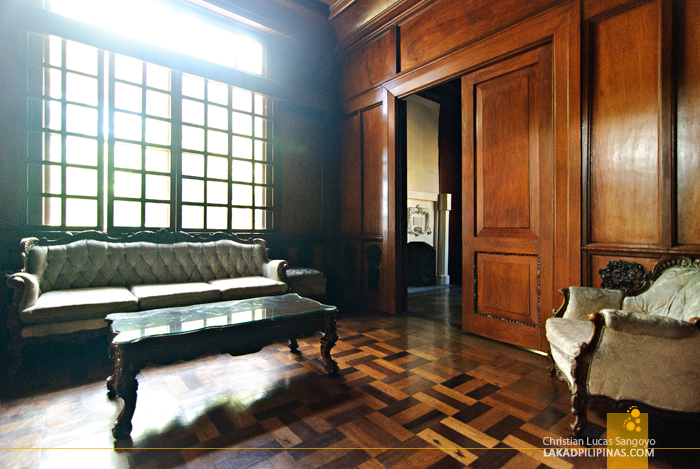 The wooden floors gleam with wax and their furnishings, well preserved. Guests are allowed to wander everywhere into the house. I passed by the so-called haunted stairs, into the bedrooms of the second floor, even up to the network of beams and rafters in its attic. I wouldn’t have dared gone up the house if we were not in a group as the atmosphere of Laperal gives me the creeps. I specially felt it when I wandered on one of the bare rooms upstairs where nothing but a lone mattress occupies the space. I quickly took a quick picture before hurrying on back with my companions. I count myself lucky that I’m not gifted in seeing things that are better left unseen. Indeed, even with my dulled senses and in broad daylight, I still felt something akin to fear when confronted with the confines of Baguio’s infamous White House. hindi ako tumitingin dito pag napapadaan ako, nkakatakot e, iba din ung feeling. hdehe. Oo nga sayang di pwede pumasok. May mga nakita ako pics ng loob nung bahay from other photographers, di ko lang sure kung kanino sila humingi ng permission to shoot inside. Haha oo nga, I wonder kung ano kaya itsura nito sa gabi..
matagal nabang binili ni Lucio Tan ang bahay? My mother used to stay in this house when our family would go up to Baguio for trips in the 70's-80's. She told me all about her experiences in the house, and how she would always see the ghost of an old man in the attic. She also said that there were some paintings with eyes that moved, Scooby Doo style! The entities weren't harmful, and they never really bothered her. Nagpicture din ako nong dumaan yung taxi namin kasi sabi haunted daw! Creepy! dapat si Jerome kasama mo pag bumalik kayo jan at mag picture taking during twilight para sya mag guide sayo if may nakastare nga na mumu or wala. creepy! The B&W photos exudes the strangeness of the place, Christian. I wish there;s a sequel to this visit (make the twilight visit) and then write again the experience. It was very creepy nga. You'll FEEL something even if you don't see or hear anything. We met the contractor who's working on the house and he confirmed that Lucio Tan bought it nga. He was on his way out, so we didn't get to interview him much. Hi Mojita! Been a while since I last saw you here! Natulog ako diyan...wala naman multo diyan. Malalaro kasi mga isip ninyo. Is it now open for public viewing? How to go there? 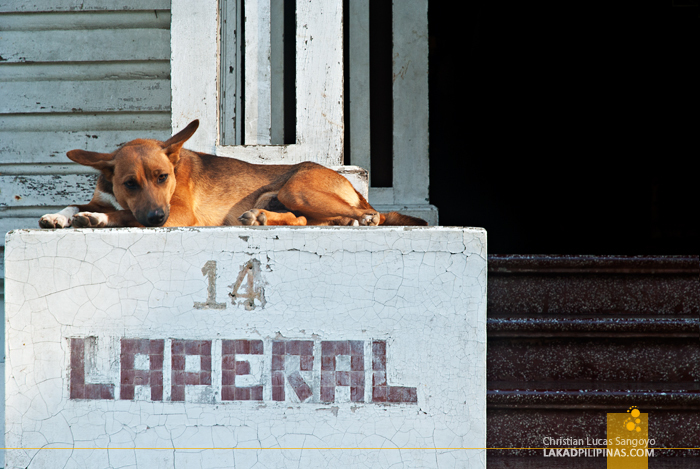 Is there a jeepney bound to laperal, or cab lang talaga?